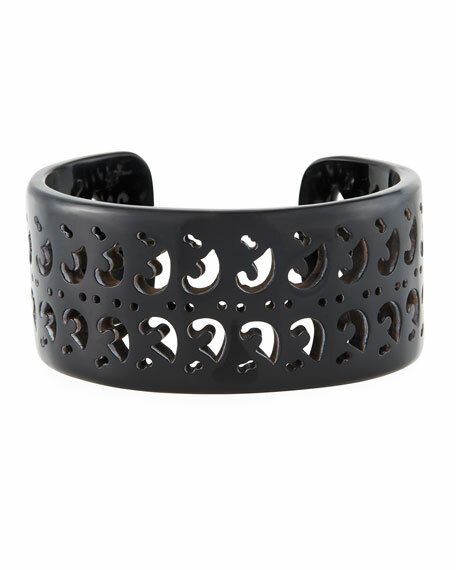 NEST Jewelry carved cuff in black horn. Wide cuff with carved cutouts. For in-store inquiries, use sku #2677014.